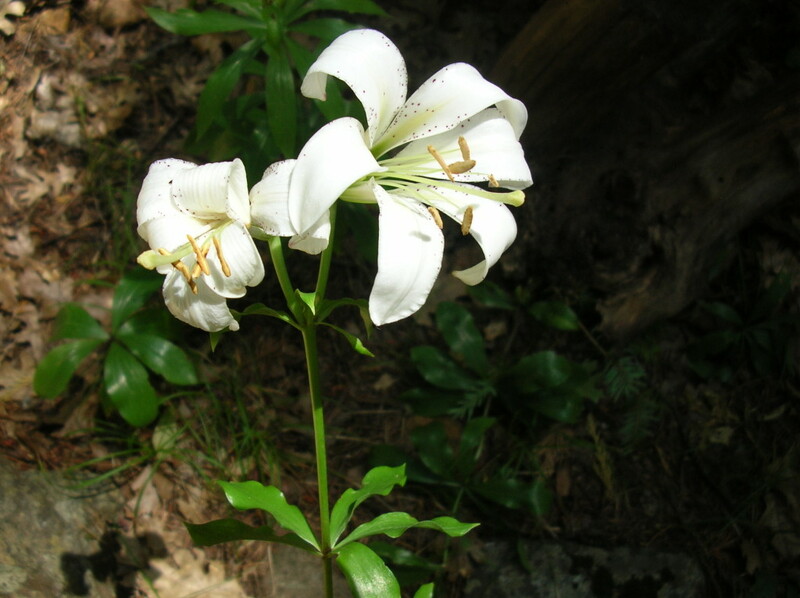 Lilium washingtonianum, Shasta Lily or Washington Lily, is a pride of the Dunsmuir Botanical Gardens. Our native population continues to thrive despite deer munching on buds and squirrels digging up their bulbs. These queens of the Gardens bloom in early June. Their fragrance is not-to-be-missed.